This is one of those small things that changed my life forever! Save time, save energy, save dishes! 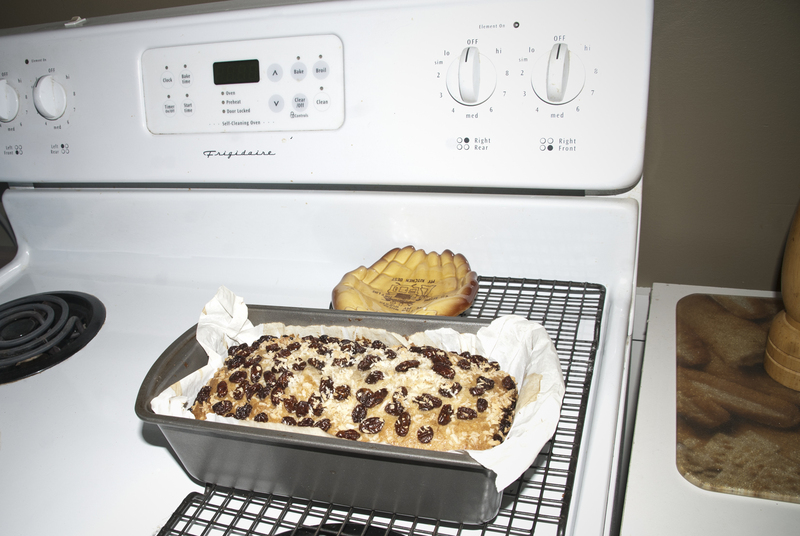 I make a lot of muffins and snack cakes to serve at out music studio to parents and students. Sometimes I find myself baking every morning when I get up. It creates lots of dishes, uses lots of electricity running the mixer and takes too much time when I have a long list of to-do’s. I got smart eventually and every time I made a batch of batter, I would double it up. Bake one batch normally and put the other batch in muffin liners or a cake pan with parchment paper and stick it in the freezer. 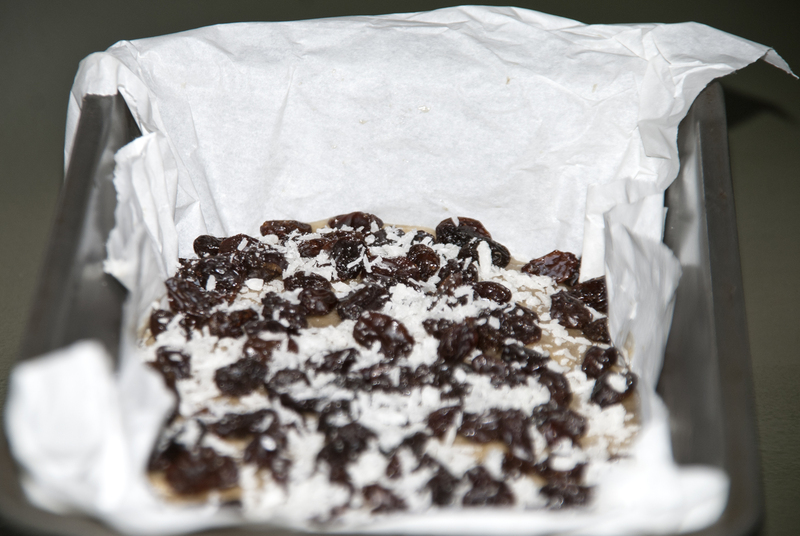 Let freeze and put the frozen batter in a zip lock baggie for future baking. 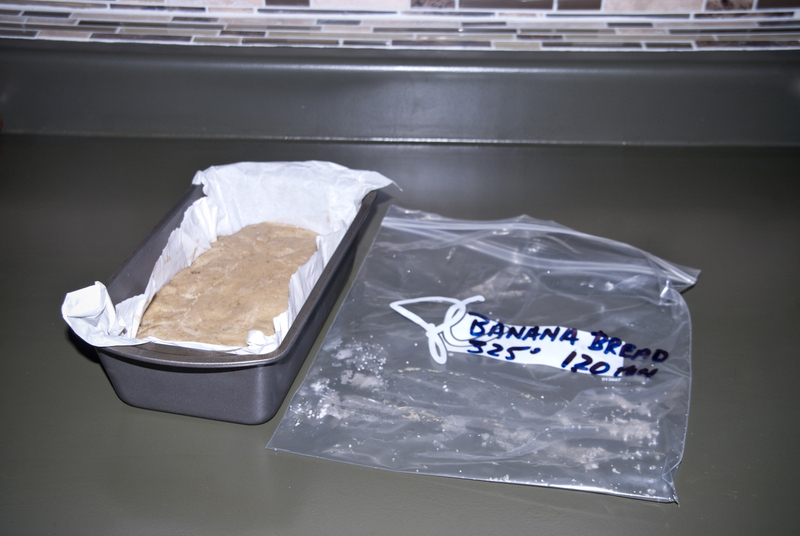 Banana Bread right out of the freezer and into the pan! 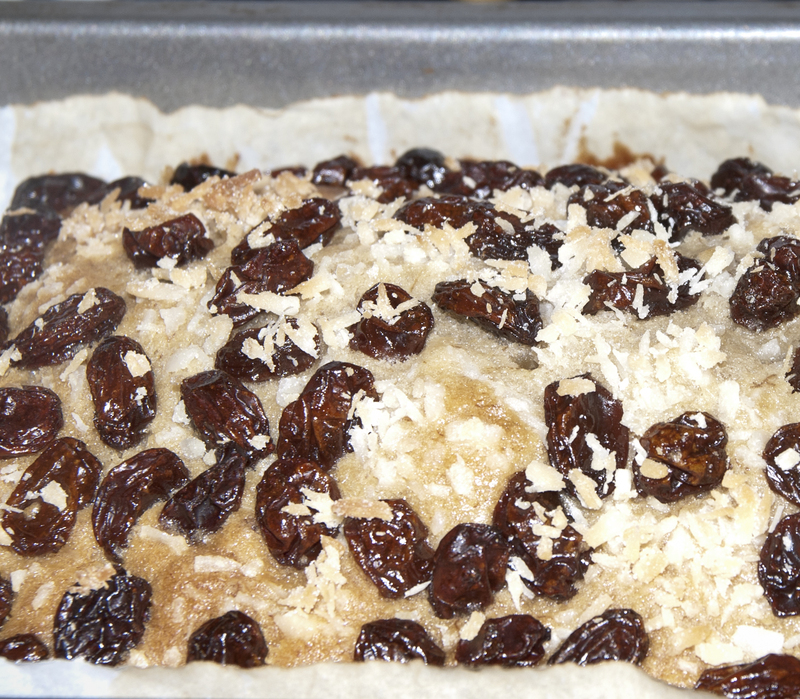 Added raisins and coconut on top of the frozen batter and baked. I think this is the first post I have written about saving time instead of money. Hope you can use this handy little trick. Now to enjoy some banana bread with my coffee!! Thanks for the compliment! I have always wondered if it would be harder to get into the Holiday spirit in a warm place with no snow. It is always the big fluffy snow flakes that make me want to start hanging lights and drinking egg no!